These AIR FILTERS are offered by K and n brand. K & N is the worlds leading Niche Brand of washable performance air filters & air intake systems.All filters are constructed with ultra strong molded pliable rubber flanges which absorb vibration & allow for secure attachment & can aso be stretched for up to 1/16" (1.5mm) to fit in between size. 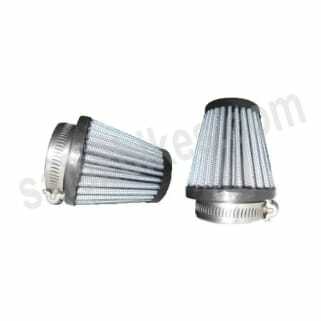 Its range of product include Air Filters, Performance Air Filters, Performance Silencers, Radiator, Inner Cooler.